The Voyage of the Dawn Treader begins with the introduction of Eustace Clarence Scrubb, an unpleasant young boy and cousin of the Pevensie children. The youngest of the Pevensies, Edmund and Lucy, who are staying at Edmund's house for a spell, are not fond of their cousin because of the way he teases them about Narnia and how they talk about it. The adventure begins when Edmund and Lucy are looking at a painting in Lucy's room and remark how Narnian the ship in the picture looks. Eustace walks in and begins teasing them again about Narnia. They all start to study the picture. Much to their surprise, the waves and ship seem to be moving! Suddenly the three of them are drawn into the painting and find themselves floating beside the magnificent ship. Someone from the ship jumps into the water and brings Lucy alongside the ship to have her lifted up, followed by Edmund, and finally the completely miserable Eustace. The rescuer turns out to be King Caspian, whom the Pevensies had helped restore to the throne of Narnia. Caspian is entertained by Eustace's cries to be let off from the ship and orders wine for the three. Eustace groans when a large mouse steps from a nearby cabin and addresses Lucy. The mouse turns out to be Reepicheep, hero of the Great Battle to restore Caspian. Reep greets Lucy but threatens Eustace for his lack of courtesy. Caspian offers the three dry clothes and turns his cabin over to Lucy. The children are introduced to the captain of the ship, the Lord Drinian. The Pevensies and Caspian sit to discuss what has happened since the last visit to Narnia. One year has passes in England while three have passed in Narnia. 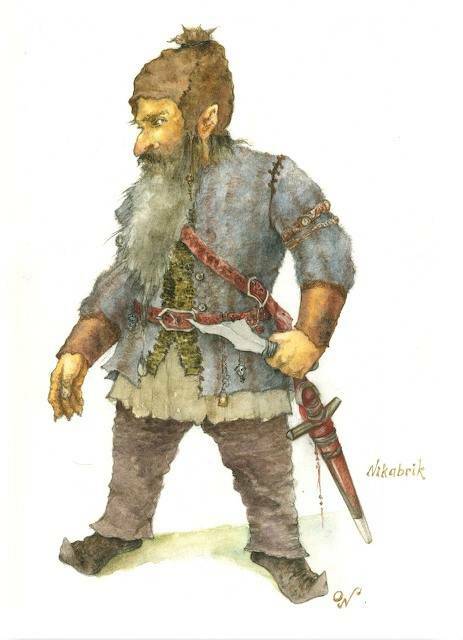 Caspian has left Narnia in the care of Trumpkin during this voyage, the purpose of which is to locate the Seven Noble Lords (The Lords Revilian, Bern, Argoz, Mavramorn, Octesian, Restimar and Rhoop.) which Miraz sent to sea after the death of Caspian's father. However, Reepicheep's purpose is to sail to Aslan's own land. The voyage has already taken the ship beyond the Seven Isles and is now bound for the Lone Islands. Beyond them no one has ever been. Lucy decides to go tend to Eustace, who is suffering from seasickness. Caspian had the foresight to bring her cordial along so she takes it into the depths of the ship to help her cousin. He reluctantly takes a drop from the cordial and begins feeling better quickly. After much ado about nothing, he decides to put on the fresh clothes left for him and come out on deck. All are taken on a tour of the ship. Lucy and Edmund marvel at the workmanship though Eustace is not impressed and relays his feelings in a series of journal articles in which he complains about everything from the company to the food. It is not long before Eustace learns a powerful lesson concerning his treatment of Reepicheep. Having taken the mouse by the tail and swinging him round a few times, Reep jabs Eustace with his sword and chases him across the deck of the ship. Once he sees that the others are planning on equipping him for a duel, Eustace slinks away to have his hand bandaged and goes to his bunk to sleep. It was the following morning when the voyagers arrive at the Lone Islands. Lucy longs to walk on the green turf of Felimath even though most civilization is on Doorn. Caspian decides that they can land, walk across the island, and have the Dawn Treader pick them up on the other side. Caspian, Edmund, Lucy, Eustace, and Reepicheep all disembark and begin the stroll across the island. They are not long on the island before they come upon several men under a tree. Caspian instructs his men to keep silent about their true identities. The men invite them to have a drink and Caspian learns that His Sufficiency, Gumpas, is Governor of the Lone Islands. The voyagers barely get the cups to their lips when the men surround them and bind them. They are to be taken to Narrowhaven to be sold a slaves. The leader marvels at Reepicheep's ability to talk and determines that he will be the most expensive of the lot. Before he can load his catch onto a boat, Pug, one of the slavers, is stopped by a fine-looking man. The man inquires as to the price of Caspian. The discussion ends with the man paying 150 Calormene crescents for Caspian, who is then separated from the others. Pug loads Lucy, Edmund, Eustace, and Reepicheep in the cargo hold of his boat and heads for Narrowhaven. Meanwhile, Caspian is informed that he has been purchased because he reminds the man of Caspian the King of Narnia. Caspian decides to reveal his true identity. After offering some evidence, the Lord Bern (one of the seven lords) kneels and kisses Caspian's hand. Caspian questions him about how he came to the Lone Islands and then about the loyalty of Gumpas. It is decided that Caspian should not pursue Pug to rescue the others but should make it appear that there are more of them than there really are to fool Gumpas into submission. The plan is carried out and Caspian rejoins the Dawn Treader and spends the night at Bern's home. 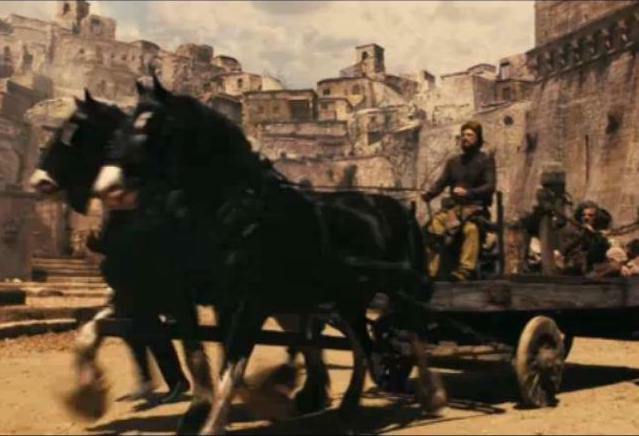 The following morning, Caspian and his men, with the Lord Bern and his men, proceed into Narrowhaven and up to the Governor's castle where they meet no resistance until they pound on the castle gate. A slovenly man with messy hair and an ugly, dirty hat on his head appears and mumbles the proper times for conferences with the governor. Bern's men push aside the gatekeeper and open the gates for Caspian's procession to enter the castle grounds. Once inside Caspian instructs the Captain of the guard to assemble his troops in proper array by noon the following day or else. Caspian, Bern, Drinian and four others go to Gumpas's throne room to address matters. Caspian tells the governor that the tribute dues for the Lone Islands have not been paid for over 150 years and that the practice of slavery is to be stopped immediately. Unable to comply with the wishes of the king, Caspian relieves Gumpas of his office, making Bern the Duke of the Lone Islands. Having established the new anti-slavery laws, Caspian proceeds to the slave market and saves his friends from their captivity. All have been sold except Eustace who would not be bought. Caspian is able to recover his friends and orders Pug to repay the money the Calormens spent on them. Once the Dawn Treader is repaired and supplied, the voyagers continue on to find land beyond the Lone Islands, prompting Eustace to write more in his dairy. Once at sea, the voyagers encounter a storm that lasts for nearly two weeks and drains the ship's supply of water and food to near zero. Water is closely rationed, much to Eustace's dismay who insists that if the men worked harder, they would need less water. Several days later, Eustace is caught attempting to steal water and is sharply rebuked. A few days later, the crew spots land. Eustace stops his dairy here. When the voyagers go ashore, Eustace sneaks away to avoid work and becomes lost in the mountains. It is not until dinner that the rest of the crew realizes that Eustace is gone. Eustace, however, has fallen into a valley and is unable to crawl out because of the slippery sheer sides. A noise distracts him and he turns to see a dragon emerging from a cave. Frozen with fright, Eustace can only stand and watch as the beast crawls toward a small pool and falls over. Eustace slowly approaches the dragon, relieved to find that he is dead. A sudden rain storm sends Eustace into the dragons cave for shelter. There he is amazed to find treasure beyond imagination. He stuffs his pockets and slips a large gold arm ring up to his left forearm. It is not long before he falls to sleep on the dragon's gold. Some time later he is awakened by a pain in his left arm. He is frightened to see that a dragon's claw is close to him. More smoke could also be seen rolling out of the cave's entrance. Quickly he scurries toward the entrance to the cave and wonders why he does so on all fours. Only after looking into the pool does he realize that he has turned into a dragon. The gold arm band is still on his forearm but is stuck due to his arm being as large as a dragon's. Unsure of what to do, he comes to the realization that the others were not so bad after all and how he really would like the opportunity to speak to them again. He attempts to crawl out of the precipice by jumping and is amazed to find that he can fly. With his new-found ability, Eustace flies to the beach where the voyagers came ashore. Caspian is alarmed when the dragon lands on the beach. Preparations are made to go and fight the beast. As they approach Eustace, Lucy sees that he is crying and runs to him. After an amount of speculation and questioning, the voyagers discover that the dragon is in fact Eustace. Caspian realizes that the golden arm band is that of the Lord Octesian and that he probably got no further than this island. Eustace becomes a much better personality as a dragon and assists the crew by felling a tree to replace the damaged mast, killing animals for food, and taking them on flying tours of the island. Several days after turning into a dragon, Eustace is taken into the mountains by Aslan himself and told to disrobe. After some effort, Eustace is able to shed his dragon skin but not completely. Several attempts to shed the dragon skin fail before Aslan steps in. He cuts the dragon flesh deeply and peels the skin off to free Eustace. Aslan then bathes and dresses Eustace before returning him to the beach where Eustace tells his tale to Edmund before gloriously rejoining the others. The ship sets sail, not before Eustace turns over the Lord Octesian's arm ring. Caspian flings it to a mountain, where it would hang on a rock. The Island is named Dragon island. At sea, they are briefly attacked by a sea serpent, an event which brings Eustace into full glory as he attacks (though to no avail) and fights the sea serpent to help free the ship from danger. Some days after the attack, the crew sights land and falls to shore to refill the water casks. Lucy, Edmund, Caspian, Reepicheep and Eustace decide to go exploring before returning to ship. They climb to find the source of the stream from which they are drawing water. During a rest break, Edmund sits down and only to quickly jump up after sitting on something unusually hard. Some digging reveals an old Narnian sword. More digging produces a mail shirt, a helmet, a dagger and Narnian coins. It is assumed that this is all that remains of one of the seven lords. Venturing further, the group see a statue of a man apparently made of solid gold in a small pool. Desiring to remove the statue, Edmund takes a spear and tests the water's depth before attempting any recovery. Once the spear is placed into the water, it becomes too heavy for Edmund to hold and he drops it. He suddenly stands and orders the others to fall back. The toe of his shoe, which had touched the edge of the water, was solid gold. It is now clear what happened to the man- he undressed and prepared to bathe in the pool but upon jumping was turned into gold. Caspian claims the land for Narnia and swears all to secrecy on pain of death. Edmund denies his allegiance to the crown of Narnia and the boys fight. Lucy cries for them to stop and it is only when Aslan appears and disappears that the boys stop fighting and realize what kind of fools they were being. The island is named Deathwater by Reepicheep. After several days at sea, the Dawn Treader again makes landfall. The usual party goes ashore and proceeds toward a small building on the island. Lucy, who had stopped to remove a rock from her shoe, hears the sound of thumping and thudding and, most mysteriously of all, voices. She can see where the ground is being struck by something but can see nothing that causes the noise. The voices decide to fall back to the beach and ambush the party when they try to return to their ship. When the thumping has faded, Lucy runs to catch up with the others and tells them what she heard. Several plans are offered and refused and the final decision is to face the unseen adversary. When Caspian and the others arrive on the beach, a voice commands them to stop. Much dialogue leads to the understanding that the unseen creatures want Lucy to reverse a spell they put on themselves which made them invisible. They wanted to be invisible because a magician, who had asked them to do some work, changed them into "uglified" forms when they refused to work. However, they are now tired of being invisible and wish to be turned back to normal. They need Lucy to read the spell because it was a little girl (one of their own) who read the invisibility spell. Lucy agrees to read the spell for them and change them back to being visible. The following morning, Lucy proceeds to the second floor of the creatures' house where she is to locate a spell book then find and read the spell for making the unseen seen. Lucy finds the book but must read past many spells before finding the one she is looking for. She sees a spell that would make her beautiful "beyond the lot of mortals." She desires to read it because she is tired of Susan being considered the pretty one. Aslan's face appears on the page and Lucy quickly moves on. She finds, and reads, a spell that would let you know what others think about you. The results trouble her when she learns how some schoolmates are talking poorly about her. Finally, she finds the spell for making invisible things visible and reads it. After she has done so, she hears footsteps in the hall behind her. She turns to see Aslan at the doorway. Aslan scolds her mildly for eavesdropping on her schoolmates and takes her to meet the magician. He then introduces the two before leaving. The magician, Coriakin, gives Lucy lunch and shows her the invisible creatures now made visible. Lucy is amazed to see nearly 50 one-legged creatures bounding about the yard. She leaves Coriakin and goes downstairs, much to the relief of Caspian and the others. Before leaving the island of the Dufflepuds (the 'race' of the one-legged creatures), Coriakin repairs damage to the Dawn Treader, creates a magical map of all the lands Caspian has seen on his voyage, and tells of a Narnian ship that passed through 7 years ago with the Lords Revilian, Argoz, Mavramorn, and Rhoop, meaning the man at Deathwater Island must be the Lord Restimar. The voyagers set sail once again. After nearly a fortnight at sea, land is sighted. The shape of the land is indistinct and appears as more of a mist than an island. Darkness looms suddenly before them and the voyagers are reluctant to proceed. Only after some chiding from Reepicheep does Caspian decide to go forward with swords drawn and lights lit. The ship disappears into the blackness. After several minutes of uncertain rowing, a cry is heard from some distance away. The stranger is urged to come toward the ship. Several minutes later, a head can be seen in the water next to the ship. The man is brought on board, maniacal and pleading with the voyagers to row for their lives. The island is one where dreams come true, not wants or desires, but real dreams. Caspian and the crew, much to Reepicheep's dismay, turn the ship and begin quickly rowing back toward the light. Each person has visions of nightmares they had had in the past, each seeming very real to the dreamer. After some time and a prayer to Aslan, the ship emerges from the darkness. The man brought on board identifies himself as the Lord Rhoop and asks to never be sent to that land again. Caspian and Rhoop look toward the Dark Island to find that it no longer exists. Several more days at sea bring the voyagers to land. The usual party rows to land and explores the island. They see several columns in rows and between the rows a large table covered with the most magnificent feast any of them had ever seen. Seated at the table, fast asleep, are 3 men. Caspian is unable to wake them. They only mumble about Narnia and sailing east. Caspian surmises that these are the remaining Lords and that their official quest is at an end. Reepicheep states that the three are probably in an enchanted sleep, caused by eating the food. Darkness is falling and the group decides to return to the Dawn Treader, all except for Reepicheep who wants to stay and find what adventures are about. Caspian, Edmund, Lucy, and Eustace all decide to remain with him. Drinian return to the ship while the others find seats that are not too close to nor too far from the sleepers. Just before sunrise, the group sees a door open in the hillside near the table. A woman steps from that doorway and approaches the table. She inquires as to why they had not eaten any of the food. Caspian explains about the sleepers and the enchantment from the food. The woman explains that the three never tasted the food but rather fell into the enchanted sleep by arguing whether to return to Narnia, remain on the island, or sail east to the world's end. In the argument, one of the men touched a stone knife (the same knife used on Aslan at the Stone Table many years before)which lay on the table and the sleep came upon them. Convinced, Reepicheep eats some of the food and soon, all are feasting. Caspian asks the girl how he can break the enchantment. She tells him that her father will explain how to undo the sleep. She points to the doorway through which she came and they all see a very old man coming from the same door. He stands on the opposite side of the table from his daughter and both turn to the east with their hands outstreched before them. They begin to sing as the sun rises over the horizon, shining first light on the table and the stone knife. Out of the center of the sun, the group could see a flock of birds flying toward them. The birds alight on everything, creating a snow-like look. One bird flies to the old man and puts what looks like a hot coal into his mouth. The birds then devour every edible thing on the table before flying back into the sun, carrying with them all things which could not be eaten, leaving only dishes and utensils on the table. The old man then addresses Caspian's party, introducing himself as Ramandu, a former star in the heavens. The voyagers question him about how to undo the enchantment. He tells them that they must sail as far east as they can and leave one of their party behind. Reepicheep is delighted to learn that that one must sail on to the world's end. Rhoop is permitted to remain on the island to get some much needed sleep while the rest of the ship's party is to sail east. Caspian earns the loyalty of his crew by telling them that not all will have the privilege of sailing to the end of the world and that Drinian and Rhince would be among those who decided who would stay and who would go. The crew is eventually convinced that they should go and Caspian takes all except for the last man to speak up. The ship sets sail toward the east and an apparently larger sun shines before them. While looking overboard at a perfectly calm, clear sea, Lucy notices that there are shapes that look rather like a road and forest under the water. It is not long before she sees a large, underwater castle and sea people. The sea people, who are on a hunting expedition, spot the Dawn Treader and move closer to investigate. One of the sea people, who looks like a king, shakes his spear at Lucy in a menacing way. Just then, Edmund and Drinian come up behind her. She shows them the sea people. Drinian instructs them to turn around and not to look. It wouldn't do to have one of the crew fall in love with a sea person or underwater world. As he tells them this, a man overboard is sounded. The "man" is Reepicheep who was provoked to fight the sea-king. After Drinian pulls Reepicheep on board, he insisted that he stay quiet about what he had seen. However, Reepicheep was excited about something else entirely. The water was fresh. Reepicheep repeats an old rhyme he heard while in his cradle about the waves growing sweet at the utter east. All members of the ships company drink the water, which gives them more tolerance for the increasing intensity of the sunlight. It also makes them less desiring of food or sleep. After several days sailing eastward, Drinian and Caspian see on the horizon what appears to be ice. The Dawn Treader rows out of what appears to be a 40 foot wide current and stops while the boat is lowered to investigate. The white turns out to be lilies, miles of them as far as the eye can see. The boat returns and the ship resumes its course in the current and ever eastward. The depth finally becomes too shallow for the ship to continue and Caspian calls his crew together. He orders Drinian to take the ship and return to Narnia, where they, with Regent Trumpkin, will select a new king. Caspian is told that he cannot abdicate, but must return to Narnia. In a fit of anger, Caspian declares that none shall go on and all will return to Narnia. He storms to his cabin, where he is joined shortly by his usual companions. Caspian tells them that he has seen Aslan and has been instructed to let Edmund, Lucy, Eustace, and Reepicheep go on. Tearful farewells are bid and the four set off. They sail on until the boat grounds itself and can go no further. They are at the world's end and a great wave of water rises before them like a waterfall, not moving but ever flowing. Reepicheep lowers his coracle and paddles into the wave and is seen at the top of the wave one last time before disappearing forever. The children go ashore and walk across a green meadow in a most beautiful land. The sky seems to come down and meet the ground. Between them and the sky, there is a sheep, who asks them to come and eat. The three approach the sheep and ask how to get to Aslan's country. The sheep replies that the way to Aslan's country is through their own world. the form of the sheep changes and before them stands Aslan. Aslan tells the children that He will be telling them all of the time how to get to His country but for now they would have to go back to Earth. Lucy asks when they will be allowed to return to Narnia and, to their disappointment, He tells them that they (Lucy and Edmund) will never come back for they are getting too old. Lucy asks if Eustace will be returning, to which Aslan replies that it is not hers to know. Aslan opens a window in the sky and returns the children to the very room from which they came. It is noted that Caspian did return and married Ramandu's daughter and she bore him a son and was the grandmother of many kings. Secondly, the three Lords did wake up and returned to Narnia with Caspian. Finally, it is noted how those on this side of the wardrobe door recognized a change in Eustace for the better. Harold and Alberta blamed it on the influence of "those Pevensie children." Eddie Izzard (la voce di Reepicheep, il topolino).